If you’ve read this blog for a while you have probably noticed that I am by no means one of those super-crunchy granola-eating, hemp-wearing, organic-gluten-free-unprocessed everything kind-of gals. I will happily admit that I enjoy preservatives and white sugar as much as the next girl. I also drink coffee and beer and take my kids to a real licensed doctor on a regular basis. 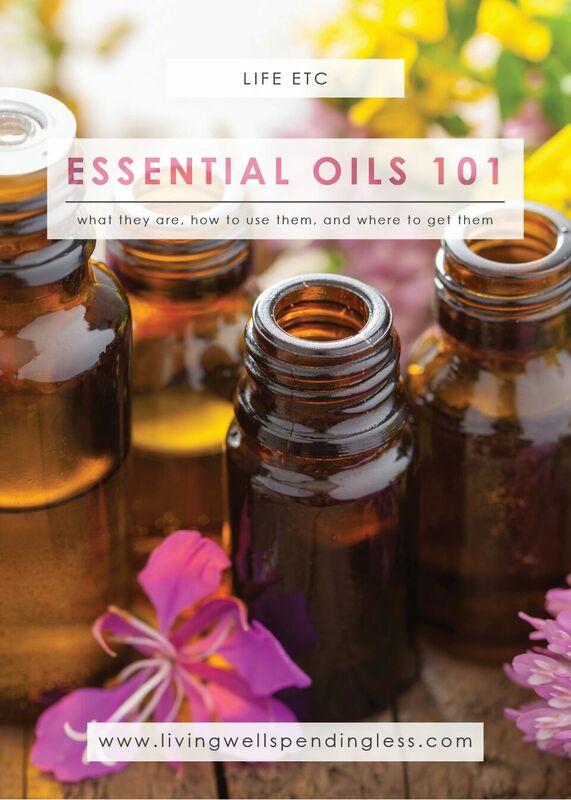 That said, I also frequently use essential oils for a variety of purposes, whether it be in my homemade cleaning products, homemade scrubs or dry shampoo, or DIY bug spray. For a long time I would simply buy my oils on Amazon or through VitaCost, but then I started hearing things that scared me about chemically manufactured oils, and I also started doing a little more research into the health benefits of pure essential oils. As I researched, I learned that the majority of essential oils that you can buy from the store are not, and do not claim to be, therapeutic-grade oils. I started to notice that the bottles of oil I had purchased from those places had warnings on them like “do not take internally” and “for external use only.” So I started looking into oils that did claim to be therapeutic grade and safe for internal use. I have a few good friends who use a brand of essential oils called Young Living so I listened to them talk about all of the amazing ways that Young Living essential oils were supporting wellness for their family. And I was impressed, but still not ready to join the crazy “oil bandwagon.” But the more that I read, the more that I discovered that many of the essential oils companies on the market (even some of the ones that claimed to be therapeutic-grade) weren’t really giving the full story. Almost every bottle of essential oil on the market claims to be “Pure Essential Oil”, but that claim can legally be made if there is as little at just 5% of the actual essential oil from the plant in the bottle. There is also no regulation for how an essential oil is to be extracted. Companies are free to use high-heat, high-pressure, and chemical-solvents to extract more from the plants, and still slap whatever label they want to on the oil. In fact, the majority of essential oil companies buy their oils from an oil broker. The company isn’t actually involved in the process of cultivating the plants or extracting the oils at all. I also loved that I could just sign up and get the member discount (24%!) and not have to sell anything to anyone. All I had to do to keep getting my discount was to buy $50 worth of products per year. Yeah, that was definitely doable since I use essential oils for so many things! 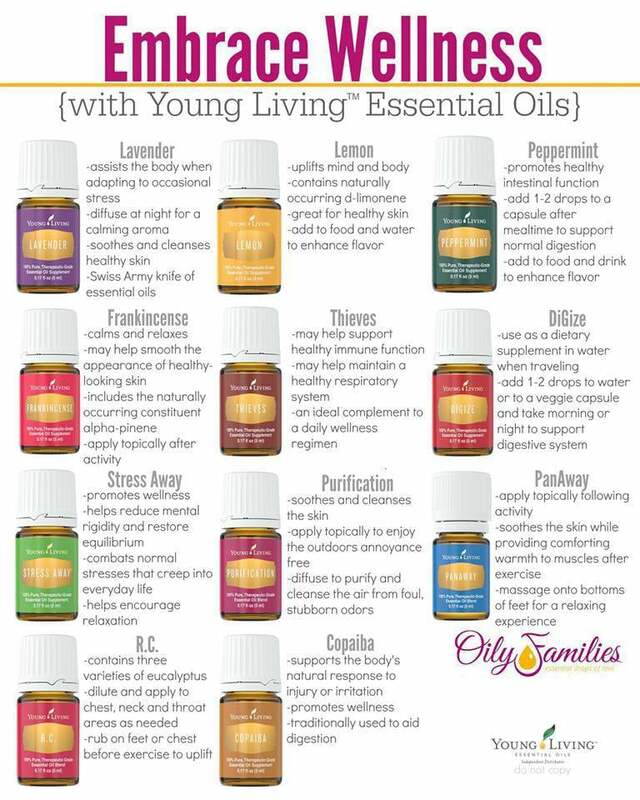 I signed up for Young Living several months ago and have been using the oils pretty much daily since then. I bought the premium starter kit and I’m so glad that I did! Here are just a few of the ways that I’m using the oils in the starter kit. My medicine cabinet has definitely gone through a major overhaul! In fact, a few months ago I wrote a post sharing 10 ways my family uses essential oils every single day. I assumed that my ultra-rational engineer husband would be completely skeptical when I started using oils for our everyday ailments–and he was. At least at first. Until he saw (and felt) the results. Now he is the first to ask for them–in fact I would say that he probably uses them even more than I do on a daily basis. He’s even started using them on our dog to help her skin issues, with amazing results! There are a few different options. You’ll likely want to choose the wholesale member option when you sign up so that you’ll get the 24% discount (if you just choose “Customer” then the prices are retail prices). One thing I really love about Young Living is that there is absolutely no obligation to sell anything when you become a wholesale member. You can if you want to, but it’s in no way a requirement, and most people become wholesale members just to get the awesome 24% discount on Young Living oils. 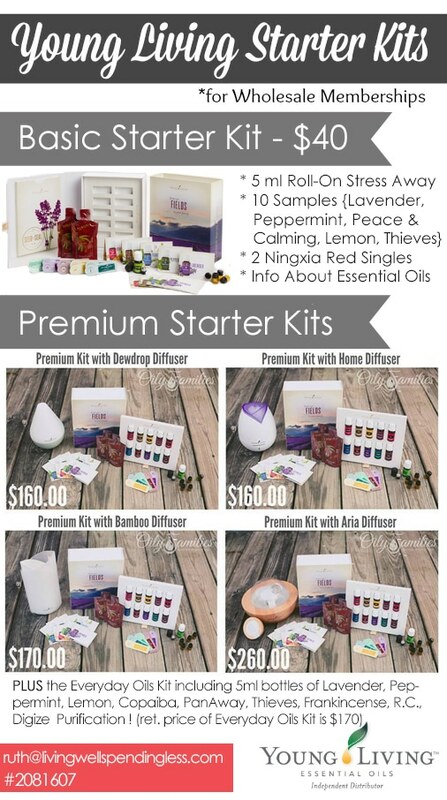 I would strongly recommend starting with the Premium Starter Kit. It’s BY FAR the best value, as it includes 11 oils to try out (lavender, peppermint, lemon, Panaway, Purification, Thieves, frankincense, Copaiba, RC, Digize and StressAway). It also comes with a really nice home diffuser that is normally priced at $98 just by itself, and the total retail value of the kit is over $300! 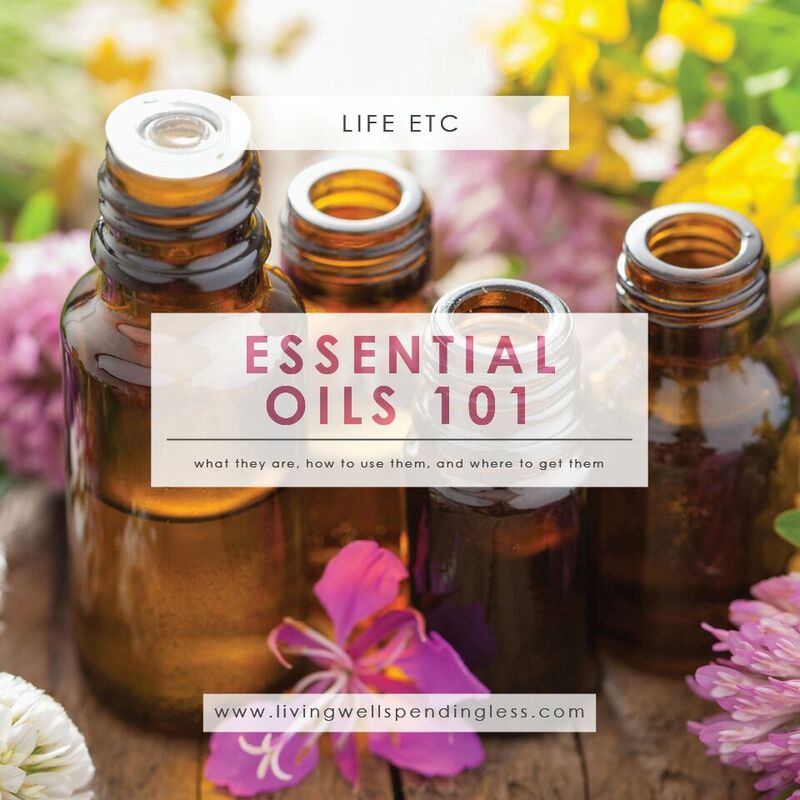 And, just because I really believe these oils are life changing & I want anyone who buys them to fully understand how to USE them, when you sign up here at Living Well Spending Less, I will throw in even more freebies–see complete list at the top of this post. To get your freebies, simply follow the instructions below. 1. Head over to the Young Living page here and fill out your information.Please use your laptop or desktop to sign-up, instead of your smartphone or tablet. 4.Select which starter kit you want to get! I’d recommend getting the Premium Starter Kit so that you get all of the oils to started above, AND you get FOUR different options for the diffuser!! 6. *OPTIONAL* If you already know that you want to be ordering regularly, then you can go ahead and sign up for Essential Rewards right there when you order your starter kit! 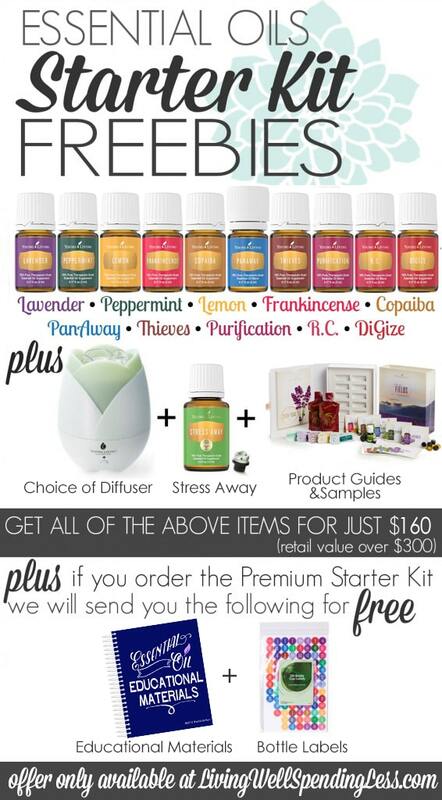 It’s an amazing way to earn FREE oils with your order every month! It’s a completely OPTIONAL program, so if you’re just wanting the starter kit for now then you can just skip this part of the sign-up process. I’ll send over an email with more details on that part of things after you sign up. If you DO want to get started with Essential Rewards so that you can get product credit back on all of your purchases, then I’d highly recommend the Thieves Essential Rewards Kit to get started! You’ll be able to change up what you buy each month. 8. After you sign up, FILL OUT THIS FORM letting me know that you signed up through this promotion so that I will know to send you your freebies. One of the benefits of getting a starter kit through this promotion is that you also get to join our private Facebook group!